Our Washington Nationals (formerly your Montreal Expos) (93-60) defeated the Milwaukee Brewers (79-74) 10-4 yesterday at Nats Stadium. 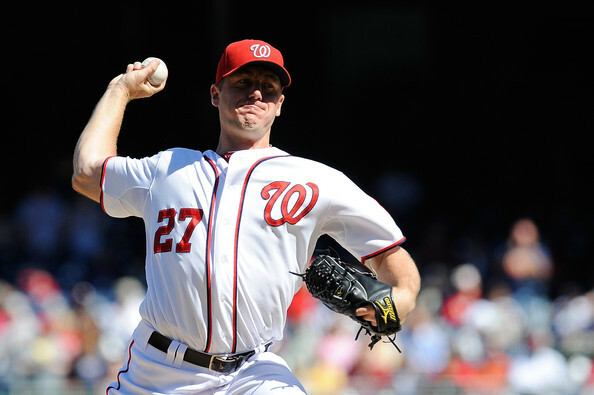 Here, winning pitcher Jordan Zimmermann throws a pitch. The Nats play the Phillies tonight and manager Davey Johnson is once again stirring the pot saying he will sit his starters when, and if, they clinch the NL East.